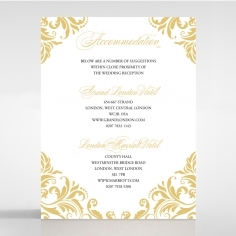 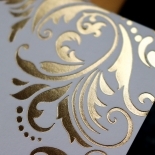 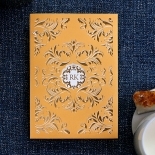 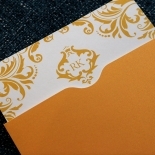 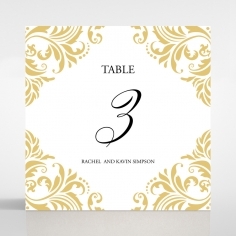 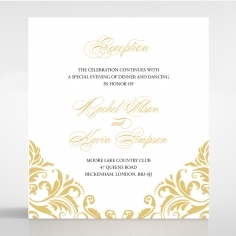 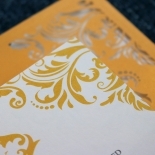 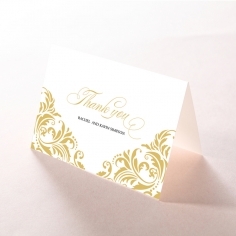 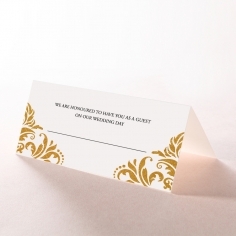 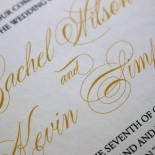 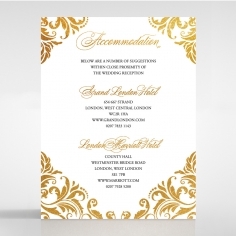 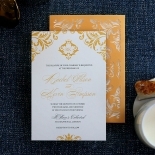 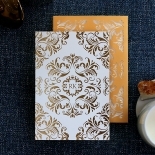 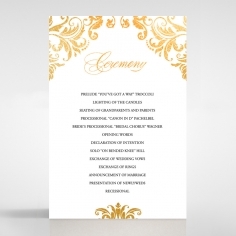 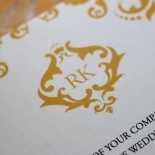 Baroque inspired invitations are a popular and timeless design in traditionally themed weddings. 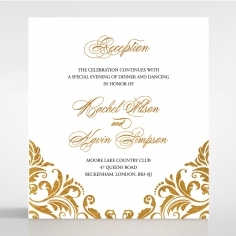 They are opulent and the pure epitome of class and elegance that many brides look for. 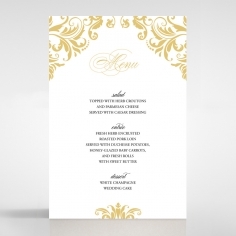 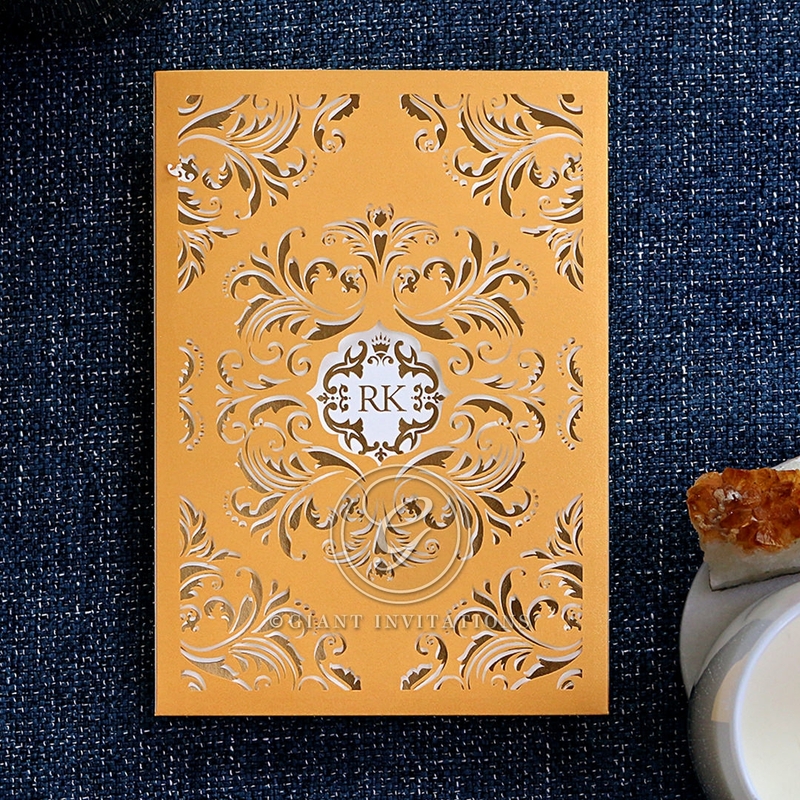 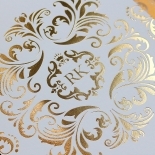 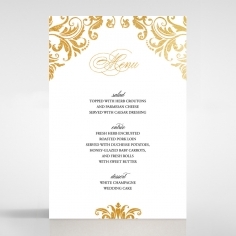 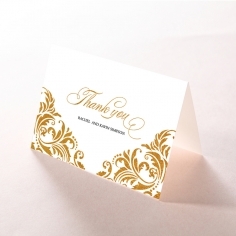 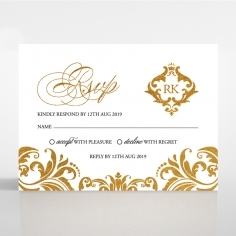 This invite boasts a pocket style design crafted using premium pearl card stock and an elaborate and intricate laser cut baroque pattern to hold your special announcement. 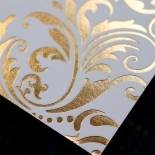 The ivory inner card peeks through the laser cut patterns with the exact patterns and emblem foil stamped to heighten the sophistication. 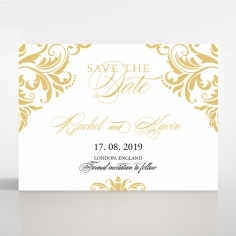 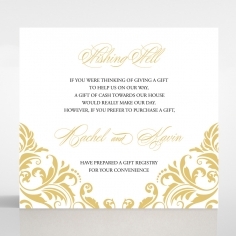 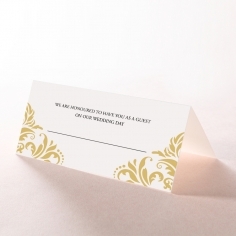 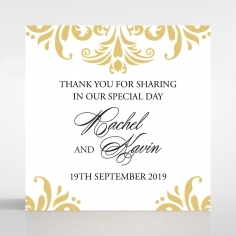 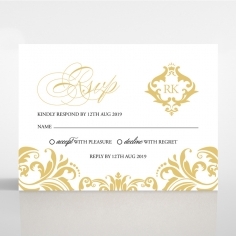 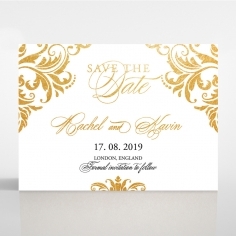 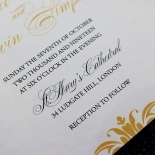 This foiled finish is customisable along with the wording, font style and layout to suit your stylish intimate affair. 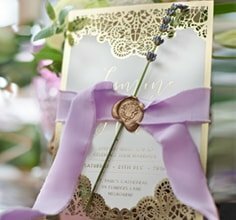 To ensure that the design flows throughout your wedding, opt to add this invite’s matching accessory cards and on the day stationery.